A cereal food that is relatively high in protein, fats and fibre content when compared to other cereals. Oats are usually rolled rather than crushed and are partially cooked during the process. They are often treated to make them cook faster and are mainly used in the preparation of popular breakfast cereals such and muesli and porridge, in the baking of breads, cakes and biscuits, and in the making of various beauty products. 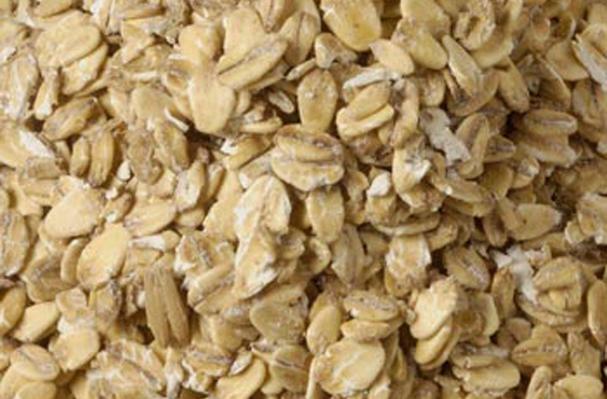 Oats are available in coarse, medium and fine grades. Oat groats: unflattened kernels that are good for using as a breakfast cereal or for stuffing.Oats gain part of their distinctive flavor from the roasting process that they undergo after being harvested and cleaned. Choosing: Buy small quantities of oats at one time since this grain has a slightly higher fat content than other grains and will go rancid more quickly. Buying: Oats are generally available in prepackaged containers as well as bulk bins. Just as with any other food that you may purchase in the bulk section, make sure that the bins containing the oats are covered, free from debris, and that the store has a good product turnover so as to ensure its maximal freshness. History: The growing of oats in Europe was widespread, and oats constituted an important commercial crop since they were a dietary staple for the people of many countries including Scotland, Great Britain, Germany and the Scandinavian countries. In the early 17th century, Scottish settlers brought oats to North America.